The clash between Germany and Sweden will be played at the Fisht Olympic Stadium in Sochi on June 23rd. The Blue-Yellow started the competition with three points in a rather uninteresting game against South Korea, while the Germans lost to Mexico despite being strong favorites in that encounter. Die Mannschaft was a -200 favorite to beat Mexico in the first round, but the reigning champions couldn’t break the Tricolor’s resilient defense and failed to score despite having nine attempts on target and even 25 in total. Germany was hit on the counter as Hirving Lozano beat Manuel Neuer in the 35th minute after an excellent solo effort, and although Joachim Löw’s side tried to get an equalizer, all the attempts were ineffective as Guillermo Ochoa displayed a great performance to keep his net intact and gave his nation a precious 1-0 victory at +650. On the other hand, the Blue-Yellow was a better team against the weak South Koreans who didn’t even have a shot on target for the entire 90 minutes. Sweden was dangerous from set-pieces, as expected, and the only goal in the match came from the penalty spot in the 65th minute as the captain Andreas Granqvist sent the keeper a wrong way to set the final score, 1-0. Sweden’s win helped the bettors who backed them at +125 to make the profit. Mesut Ozil was the most criticized Germany player after the tilt with Mexico as he didn’t show his qualities and seemed to be lazy when the Germans needed him, so he will be under a lot of pressure and it’s going to be interesting to see how he’ll cope with it. Emil Forsberg should have a good game against Germany as he is playing in Bundesliga for years now and he knows the opposing players well, so Sweden’s No. 10 will have a lot of work to do in the midfield. Germany: Neuer; Kimmich, Boateng, Hummels, Plattenhardt (Hector); Khedira, Kroos; Draxler, Ozil, Muller; Werner (Gomez). Sweden: Olsen; Augustinsson, Granqvist, Jansson, Lustig; Larsson, Ekdal, Forsberg, Claesson; Berg, Toivonen. Germany’s chances to lift the trophy in Russia are +800, while the Die Mannschaft is +110 to make it to the quarter-finals. Sweden’s chances to win the World Cup are up to +15000, while the Blue-Yellow is +500 to reach the quarter-finals. 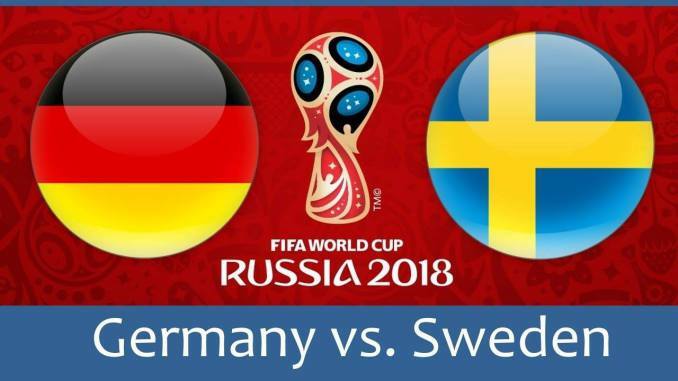 The Germans are -200 to get their first victory at the tournament and in case they fail to do it, the competition might be over for them, so Germany has to attack from the referee’s first whistle. The -1 spread at -111 is quite an attractive option and considering that Low’s side needs three points, backing them to win with two goals is a good bet.